When selling new, disruptive technology, you’re up against a number of challenges, even though what you offer upsets the game. Many entrepreneurial companies have brought extraordinary, world-changing technology to market yet failed because they ignored these five secrets. 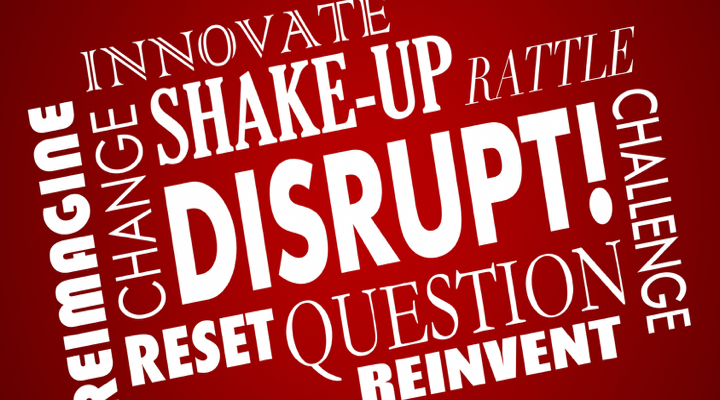 Read on to learn how you can successfully sell your new, disruptive technology. Entrepreneurial companies invest millions in research and development and then budget a few thousand dollars to take it to market. And incredibly, investors think that this is a good idea. How many entrepreneurial companies have you seen that were woefully undercapitalized when it came time to market? Most of them? The ideal situation is to invest a third of your capital into technology development, a third in marketing, and a third in customer development. Many will argue with me on these ratios, yet more companies run out of gas because they’ve burned through the investment without returning a single dollar because they ignored the marketing and customer development budget. Why customer development? You’ll most likely have to teach your customers how to buy what you’re bringing to market. When marketing a new, disruptive technology, your target market won’t know what to search for on the Internet. You’ll have to capture adjacent searches and educate them on what you do and why it’s better for them. Other customer development tactics include public relations, magazine articles, trade shows, public speeches, educational videos, workshops and classes, and lots of one-on-one time with prospects. These require time, money, and as much attention as the technology development. If you don’t have a sizable war chest to go to market, you’re going to waste your technology investment. Sell what you have to a bigger company with a strong marketing department. Often inventors believe that their technology has disruptive characteristics but the market doesn’t see the value to the disruption. For example, the QWERTY keyboard that you use with your computer and smartphone was designed to slow down typists so that the mechanical typewriter wouldn’t jam. You’d think that decades after we’ve moved beyond clattering typewriters that a better, more efficient human-to-machine interface would be in wide use. The Dvorak keyboard radically improves typing speed and accuracy. The problem is that too many of us don’t want to take the time to learn a new typing style — we are just fine with how we do it now, thank you. The real disruptive human-to-machine technology is voice recognition and yet as good as it is (three times faster and more accurate than my typing) it’s not widely adopted because most people are trained to go from thought to fingers when composing content. You’ve probably noticed that some people don’t think before they speak and need retraining. Instead, your disruptive technology must be perceived as so valuable that customers want to make the change required to adopt your product. Ideally, the significance will be instantly obvious and compellingly convincing. Sometimes, what excites the tech team becomes totally lost on paying customers. You’ll figure out what grabs buyers by working with key customers and watching how they adopt, adapt, and use what you’re bringing to market. In addition, work with marketing professionals adept at researching and identifying key value propositions for your target markets. Approach prospects with a propensity to purchase cutting edge technology. You can’t sell new ideas to those who are threatened by change. No matter how good you are, if they’re not motivate, they won’t say yes. Instead, find those who embrace change or will quickly recognize the value of adopting the technology. The most disruptive technologies solve age-old problems with elegant solutions. One of the best examples is GPS-based navigation means that men never again have to ask for directions or pretend that they’re not lost. So if you can help a professional solve a common problem in their field, expand their perceived expertise, or make their job faster and more accurate, you’ve got a winner. This is especially true when you can approach younger professionals who value those outcomes and aren’t afraid to challenge the status quo. You can identify early adopters by connecting with other companies who have recently been successful at a disruptive technology launch and approach their customers with your offering. Selling disruptive technology requires that you have a clear and steady focus on your vision for the outcome that your customers enjoy when they buy. Clearly articulate what their life will be like when they fully embrace the technology and use it to full potential. Crisply communicate the value that they’ll enjoy in terms of time, money, energy, elegance, simplicity, and new outcomes that they can’t achieve now. What will they know that they don’t know now? What will they be able to do that they can’t do now? How will they feel that they haven’t felt before? Commit to creating the sales velocity that you need to make your vision and investment pay off. This means executing highly-leveraged activities that create connections with prospects, influencers, and thought leaders. Conduct events that make lasting impressions and demand decisions. Any loss of focus from vision, value, and velocity can doom a promising disruptive technology. Many companies introducing disruptive technology hire a superstar for sales development but they can’t clone them to scale up. The company’s growth limits come from this rock star’s ability to find and close deals, further curtailed when asked to grow the team. If you’re relying on the art of sales and marketing, you won’t scale. There aren’t that many great sales artists in the field. Instead, design processes that present your promises to prospects, creating conversation and interest that leads to confidence and enthusiasm. Processes create repeatable outcomes: given a certain quality of input, you’ll enjoy a certain quality of output. Velocity becomes a function of ramping up the input. Create marketing processes that identify and attract the type of people who want what you sell the instant that they know what you deliver. Develop sales processes that lead the prospect from having no idea about what you do to agreeing that they can’t live without your product. Next, hire people who have the right characteristics and will follow the processes to get the outcome you need. You don’t need lone wolves who have to do it their way. You don’t need people who put making the customer feel okay above challenging them to think a new, disruptive way. You need smart people who can follow the process and appreciate the success that it brings. Now, go disrupt your market. P.S. If you’d like 15 minutes to talk about how to disrupt your market, go to MarksSchedule.com to set up time to meet.